Here's what comes next, as usual heh ^^ It's not too much detailed yet, the corridor is too empty for my taste, and I might open the ceiling to give a lil more light and a better ambiance. Considering the teleporter at the back of the screen, this will be the end of Part 1. 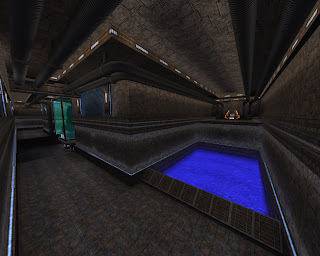 Will this map as fast as Oasis-temple2 ?